The AnMBR LE™ system combines a low rate completely mixed anaerobic reactor with Aquabio’s proprietary low energy UF membrane separation system. This combination results in a number of advantages in circumstances which favour anaerobic treatment with a focus on very high COD removal rates and biogas recovery. 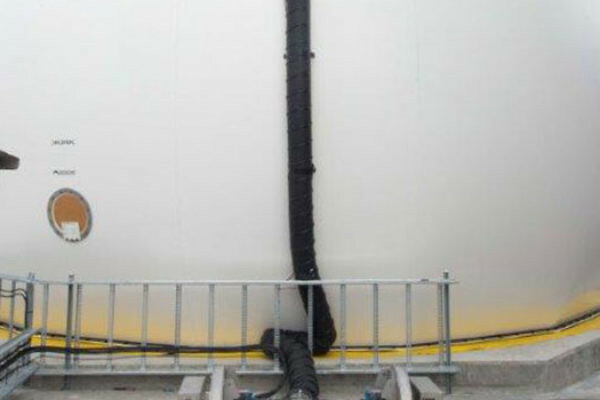 The membrane separation stage provides complete solids retention thus uncoupling the hydraulic and solids retention times allowing for optimised long sludge ages which maximises COD reduction and provides higher biogas yields. The process is more tolerant to TSS and FOG than granular anaerobic systems and thus provides simplified pre-treatment requirements.